Trellis Data is a 100% Australian owned innovation company with our sole focus on Artificial Intelligence (AI). We are the insight and process automation experts for Government. Our platforms leverage world leading Deep Learning techniques delivered locally, to provide the best AI process and intelligence outcomes across your videos, images, voice, sound, documents, social media and other data. We can even improve your data quality using AI. The future in better Government outcomes is here. 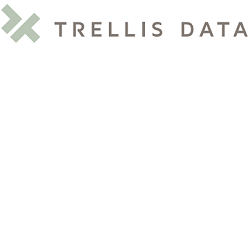 Get the complete picture with Trellis Data. Trellis Data takes global leading deep learning techniques and delivers them locally for the Australian Government. Using Advance Machine Learning (aka Deep Learning) across a broad range of Defence applications we provide a platform and solution service to help in a number of areas, including surveillance and intelligence gathering, real-time alerts and decision support/making capability for theatre, and common operating picture (COP) capabilities including detecting people and objects of interest, predicting flight paths/incursions over no-fly zones and escalations in battle. We also provide the 'next best move' for army/navy/air force personnel in real time situations. Trellis Data takes global leading deep learning techniques and delivers them locally for the Australian Government. Using Advance Machine Learning (aka Deep Learning), we are able to apply several sophisticated methods to protect advanced cyber security detection and alerts on a number of cyber situations. This includes detecting email attack by the style of email content and looking at anomalies in network activity or user activity (or system user activity). Trellis Data takes global leading deep learning techniques and delivers them locally for the Australian Government. Using Advance Machine Learning (aka Deep Learning) across a broad range of Space applications we provide a platform and solution service to help deliver visual interpretation through our Trellis Vision platform, as well as generic AI capability, known as the Trellis Genie, that can learn how in simulation first, then in the real world, how to navigate through an environment. We are Australia's firsts dedicated Deep Learning company, focussed on supporting the Australian Government deliver better outcomes. We have significant senior Government experience. Not only do we make global leading machine learning techniques available in Australia, but we make them fully deployable here, ensuring no sovereign risk. Our solutions use leading techniques, enabling better Image Recognition, Intelligence Gathering, Real-time decision support, Management of Unstructured data solutions that are fully secure for the Australian Government. We don't just deliver technology, but we include local expertise in machine learning and in Government to enable Government to realise the benefits of machine learning.